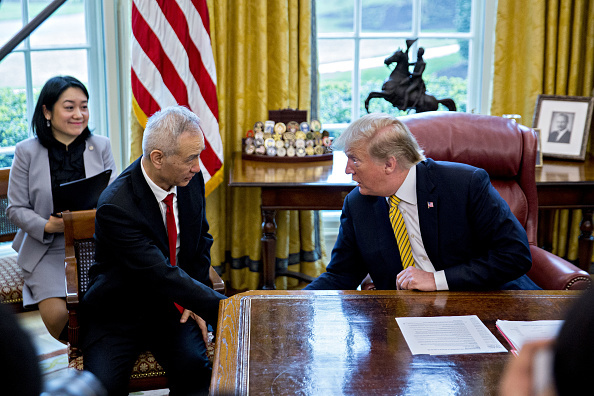 President Trump jettisoned any last hopes that a final trade deal would occur this month on Thursday after his meeting with Chinese Vice Premier Liu He. In a meeting in the Oval Office, Trump said that a final deal would happen "within the next four weeks," with an additional two weeks to finalize official documents. Following last week's negotiations in Beijing, negotiations moved to Washington this Wednesday. Both sides have yet to settle remaining differences, including over protections for intellectual property rights and punitive tariffs as an enforcement mechanism to ensure that each side holds its end of the agreement. China has offered various concessions thus far, including in the agricultural and auto industries. China went a step further on Monday when it announced that all variants of fentanyl, rather than certain strands of the synthetic opioid, will be treated as controlled substances. It has been particularly challenging for officials on both sides of the Pacific to clamp down on fentanyl, as producers in China only have to make minor alterations to the drug's molecular structure to evade legal restrictions. Banning fentanyl production in China is hoped to reduce the number of opioid-related deaths in the US, which are particularly high in American states such as West Virginia and Ohio. The regulation is supposed to take effect on May 1. Analysts are now looking at early to mid May for a final presidential deal. 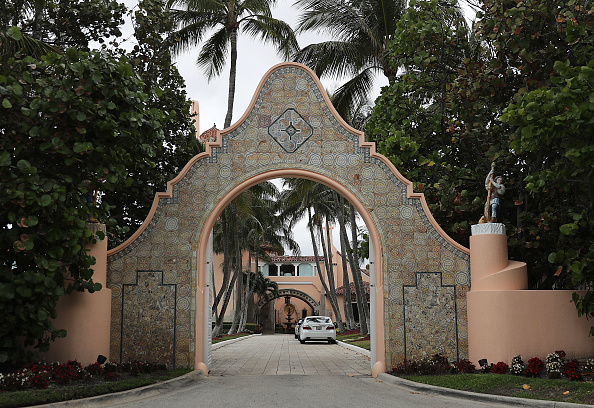 The venue is not yet set, but it most likely will not be at Mar-a-Lago, as the resort is mired in its own latest string of China-related controversies. Speaking of Mar-a-Lago, news broke this week that Yujing Zhang, a 32 year old Chinese national, attempted to breach security at Trump's golf resort last Saturday. Reports say that she was carrying 4 cellphones, a hard drive and a USB drive infected with malware. This Monday, she appeared in court on charges of making false statements to a federal officer and entering restricted area. According to the legal complaint, Zhang, originally told Mar-a-Lago security that she wanted access to the resort's pool. Zhang was allowed entry on the basis that her surname matched the surname of another clubmember, though the last name is very common in China. When questioned a second time inside the club, telling security officials that she traveled from Shanghai to Palm Beach to attend a "United Nations friendship event" promoted by Cindy Yang, who was in the spotlight last month for allegedly selling access to the Trump family with Chinese business leaders. This followed her involvement as the founder of the string of spas named in a human trafficking investigation in Florida. It is still unclear whether Zhang was aware that her USB contained malware, but her detention comes as US-China relations face mounting tensions. The US-China relationship is "somewhat chaotic," says Harvard University Distinguished Service Professor Joseph Nye in an interview with China-US Focus, and security breaches like this one only fuel the fire. Yujing Zhang's hearing is scheduled for April 8 and arraignment later on April 15. Taiwan's defense ministry said two Chinese J-11 fighter jets crossed the centerline in the Taiwan Strait 11 am Sunday morning, setting off more tremors in the already contentious waters between China and Taiwan. China's military jets reportedly crossed into Taiwan's southwestern airspace, coming within 185 kilometers (115 miles) of Taiwan. Taiwanese Minister of Foreign Affairs Joseph Wu said that this was an intentional act from China and called it provocative and dangerous. In a Facebook post Monday, Taiwan President Tsai Ing-wen called China's actions an "outright provocation of regional security and stability" and "ordered the military to forcefully expel any incursions across the 'median line' immediately," according to a CNBC translation of her post. Tsai's harder line comes as Taiwanese activists are pushing harder for a referendum on independence, an act that Ted Galen Carpenter writes on China-US Focus "would place America in a very awkward and dangerous position." 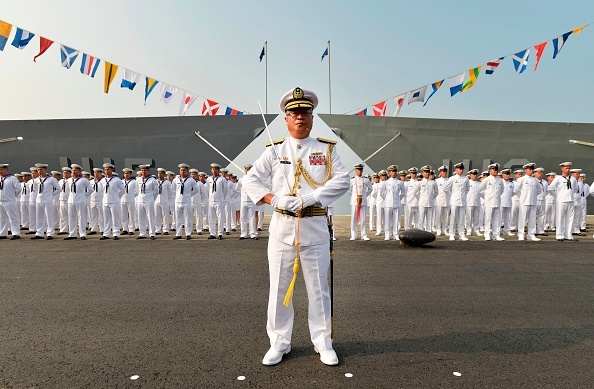 The US is adding pressure in the area: just a few weeks ago, the US sailed Navy and Coast Guard ships into the waterways of the Taiwan Strait on March 24, despite China's opposition, as a part of an increasing number US freedom of navigation operations in the area. While Foreign Minister Wu said that Taiwan had informed "regional partners" about the incident, it is unlikely that the international community will rise to Taiwan's support. Taiwan is facing greater pressure as its diplomatic allies are cutting ties with the island in exchange for stronger ties with China, and the US recently announced that it would hold off selling Taiwan F-60 fighter jets, to China's delight, as a final US-China trade deal is underway.